﻿ Safe Cities in Mexico Archives - Is Mexico Safe?Is Mexico Safe? Puerto Peñasco safety and crime rates are often called into question but is their any merit to the questioning? Let’s take a look and find out! 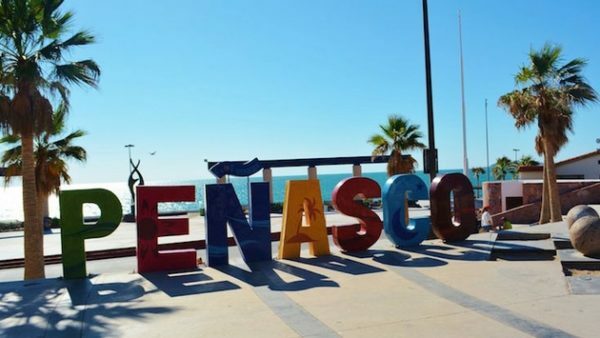 Puerto Peñasco is a fast transforming fishing village in the desert state of Sonora, connecting the Baja California Peninsula and the rest of Mexico, about 62 miles south of the border of Arizona. Puerto Penasco has quickly made a name for itself among travelers. The city offers a different vibe than Cabo and Mexico City, making it perfect for those looking for something different. Though for all it has to offer, is Puerto Peñasco safe? To answer that question, yes it’s safe. Despite stories about rising rates of violence, a majority of Mexico is rather safe and comparable to any other place in the world. Though just like anywhere in the world, it is not free from crime, so a bit of common sense is still needed. Though that said, to consider Mexico dangerous and crime-ridden would be a mistake. And one that would prevent you from seeing the beauty right outside your border. The proximity to mainland US has made Puerto Peñasco a road tripper’s ideal getaway. While a convenient trek just across the border, caution should be used when undertaking this journey. The U.S. State Department has issued a travel warning for the state of Sonora, citing an uptick in assaults against Americans since 2012. Cartel activity, carjacking, and highway robbery are the situations to be aware of. However, since this safety warning was announced, the Mexican government has provided more funding and police officers to these areas. However, travelers should follow safety tips from the State Department to avoid any such circumstances. Some of the major advice is to use the Sonoyta border crossing at Lukesville, Ariz. to spend the shortest time on the road in Mexico en route to Puerto Peñasco, and driving only when the sun is up. While in the city, be a low key traveler, not flaunting wealth and just be aware of your surroundings; catch cabs only from designated taxi stands. Puerto Peñasco was home to very few permanent residence until 1930, mainly due to its remote location. But since then it has bloomed into a popular beach, and fishing, locale for people from California, Arizona, and Nevada, who call it Rocky Point. Another one of its many nicknames is “Arizona’s Beach” because of the proximity of Tucson, Phoenix, and Yuma. To promote tourism, Puerto Peñasco was declared part of the border “free zone,” meaning Americans can drive there without obtaining a visa. It has become a major tourist center in a short amount of time, with numerous hotels and camping/RV sites. An abundance of beautiful beaches, paired with an impressive display of marine life has prompted beachside homes, plans for condominiums, malls, marinas and golf courses. The Mayan Palace resort has just added entire new upper-level units called the Grand Mayan Puerto Penasco , Both are east of town about 20 minutes. If you still want to read up on a few more tips check out our piece for staying safe in Mexico. Or if you’re ready to see Mexico for yourself, pack your bags, find a hotel, and discover everything Mexico has to offer! Just be sure to remember our Puerto Peñasco safety tips! Which is Safer: Cancun or Orlando?